Snap Fitness is a chain of 24 hour fitness franchises. The gyms offer cardio and strength training equipment, exercise classes like Zumba, spinning, and aerobics, personal training, personalized workouts and meal planning, and a safe, clean environment. If you are interested in employment with this company, you can find a link for a Snap Fitness application below. The company was founded by CEO Peter Taunton in 2003, and the first club sold in 2004. The business currently has over 1400 franchises in 14 countries, including the United States and Canada, with new clubs opening every month, making it is the fastest growing fitness franchise in the world. The corporate headquarters is in Chanhassen, Minnesota. The clubs lack tennis courts, pools, or locker rooms. They charge customers less than full-service clubs do, and do not require long-term contracts. Numerous job opportunities in the United States and Canada are posted at their website, below, for those who are interested in a career in the health club industry. Employees love the fun, laid back atmosphere in the clubs, and franchisees enjoy a lot of corporate support. If you are interested in franchise ownership, you will find it easy to apply online. The company provides applications that have a place to upload a resume for dozens of available jobs in its various locations. Go to their website to see if they are hiring near you. Corporate level careers are listed among the Snap Fitness jobs posted at their website. Successful applicants would find themselves working for Lift Brands, which is a parent company to the health club. Some of these positions include Creative Designer, Marketing Coordinator, and Digital Marketing Coordinator. See the website below to upload a resume. Posted jobs available in the local clubs include Personal Trainer, Zumba Instructor, Group Exercise Instructor, Fitness Consultant, Club Manager, Assistant Manager, Membership Coordinator, Sales/Member Services, and Club Associate. There is no printable application form available at the company’s website, but you can apply for Snap Fitness jobs online by uploading your resume. How old do you have to be to work at Snap Fitness? You must be18 to work at Snap Fitness. Most positions at the business don’t require much experience or education coming in, which, along with the flexible shifts that go with being open 24 hours, make these great jobs for college students. Corporate level staff can expect benefits, including competitive salary, paid time off, insurance, and a 401k plan. Workers at the clubs enjoy flexible scheduling, commissions, discounted or free memberships, the chance to become healthier, and the satisfaction of working with clients over time and seeing them meet fitness goals, all in a fun, laid back environment. Club Associate – As a Club Associate, you would talk to customers, take payments, and keep the workout area and equipment clean. Previous experience is desirable, but not necessary. This positions starts at minimum wage, plus commissions. While there is no direct application online, you can upload your resume at the website. Personal Trainer – Personal Trainers holds appointments with customers during which they do body fat analysis for them, train them how to use the equipment while using proper form, and provide nutritional counseling. Personal Trainers must be certified, and have first aid and CPR certification as well. Pay is roughly $37,000 per year. Assistant Manager – As an Assistant Manager, you would do the same work as a Club Associate, but you would help the Manager with marketing and tracking sales goals as well. Expect to use a computer. This job doesn’t require previous experience, but it does offer room for advancement. Pay is around $9.00 per hour, plus commissions. Manager – The Manager’s responsibilities are to achieve sales goals, motivate the staff, interact with club members, and ensure that the business maintains company standards of safety and cleanliness. Candidates need to be excellent communicators, should have some sales experience, and should want long-term employment. Managers make around $37,000 per year. You might expect to answer questions like these at your interview. Why do you think you would be a good fit for this company? This business does its own training, and hires for personality before experience. You’ll want to show them that you can be friendly and chatty. While you cannot fill out an online application, you can upload a resume at the website, at the bottom. What kind of personal experience do you have with fitness? If you have always been a gym rat, or if you’ve lost weight through healthy eating and exercise, you can bring that experience to this job. Smoking or an unhealthy lifestyle will work against you. 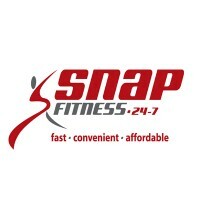 See the website to browse Snap Fitness jobs. How does this job fit with your long term goals? Your interviewer will want to know if you are interested in growing with the company or not. They prefer to hire people who wish to work long-term for management and personal trainer positions, but are happy to hire students for associate roles. What time of day would you prefer to work? Snap Fitness careers do offer flexibility. While corporate positions are most likely to have daytime hours, club jobs can be at any time of day. If you have a preference, do let them know. You cannot download application form from the website, but you can upload your resume and cover letter. Do you work well on your own? At slow times, you may be working your shift alone, which would mean covering every area as needed. You will need to be self-motivated and organized to do that. If that’s not your strong suit, working shifts during the busiest times might be better for you. Go to the website for a Snap Fitness application. While it will be important to arrive to your interview on time, formal business attire will not be needed. Clean but casual clothing will be fine. You will most likely be wearing fitness clothing each day at your new job. While there is no printable application for Snap Fitness on the website, you can still go there to apply. This company makes it clear in each job description that it prefers to hire people who are energetic, fun, and have a great sense of humor. Sales experience is beneficial, but not necessary for most of the positions offered in the health clubs. New employees receive on-the-job training. Apply for jobs at Snap Fitness by visiting the website below and uploading your resume. Personal Trainers are an exception. If you are interviewing for this position, bring proof of your certifications, or be able to show that you will be certified very soon. If you would like to know how to apply for Snap Fitness online, see the website below, browse the offerings, and upload your resume. There is no application form at the website for job seekers, but those interested in franchise ownership can fill out a free application at the same site. Vans: See our resource page for more information on Vans careers. Adidas: See our guide for careers at Adidas. Underground Station: Visit the job application for Underground Station to apply today. BobbiBrown: BobbiBrown offers opportunities for both, beginners and experienced roles. Puma: See this page for jobs at Puma.